Choice is the name of the game when it comes to designing the modern workplace. 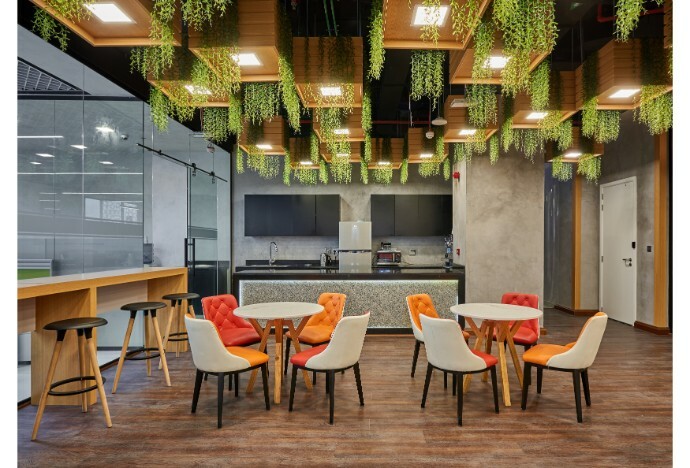 More and more companies in Dubai are fitting out their offices to empower their employees with the freedom to work in a variety of spaces. From collaborative areas for creative work, quiet spaces for more focused tasks or break out rooms to unwind and help boost productivity and employee well-being. Biophilic office design has been the dominant trend in recent years. 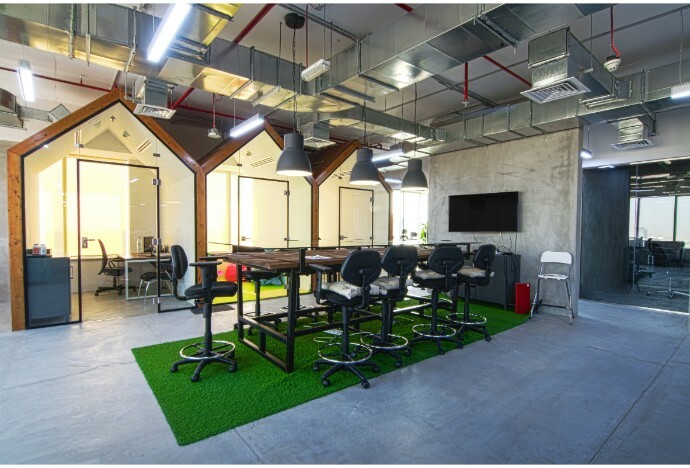 Key elements such as embracing natural light, addition of greenery and eco-friendly materials as well as proper space planning can help your office maximize its potential as well as increasing employee morale and productivity. Studies have shown that adding natural light and plant-life to your office can have a positive impact across the board, making a natural office fit-out a strong choice for your next design. 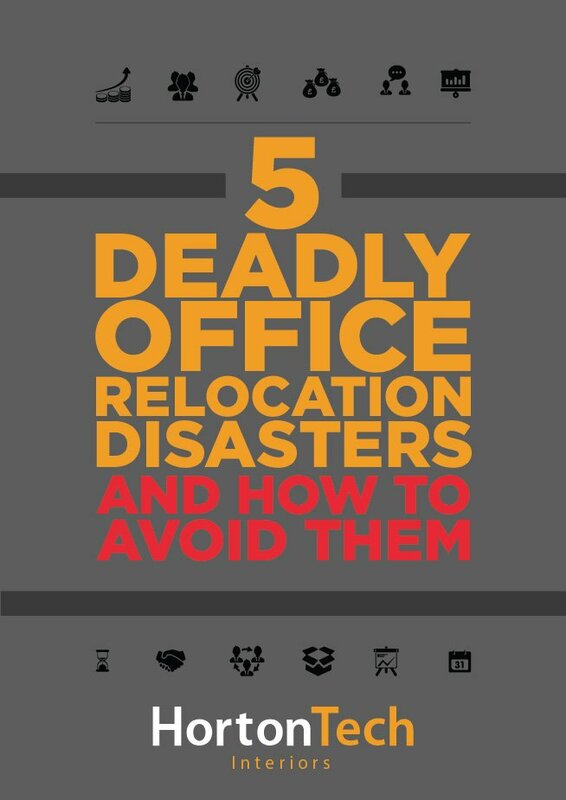 With office space in Dubai at a premium, it makes sense to make sure you’re making the most out of your workplace. 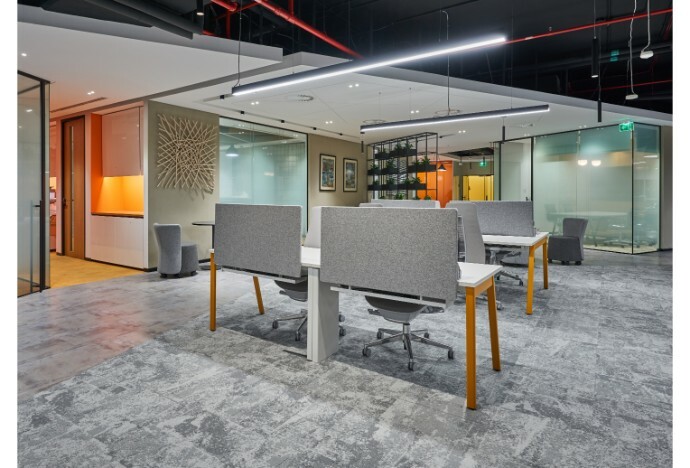 Every workplace is bound to have some amount of unutilized or underutilized space somewhere and a key trend in modern office design is to make sure those spaces serve a purpose. Whether by being transformed into single person work pods or huddle booths or even informal meeting areas, efficient space utilization is the cornerstone of designing the modern office. It’s also a great opportunity to think creatively and surprise your workers with a variety of new spaces in which they can work in comfort! With over a third of one’s working life being spent in an office, people are starting to realise that employee well-being is key to productivity and in turn, company success. 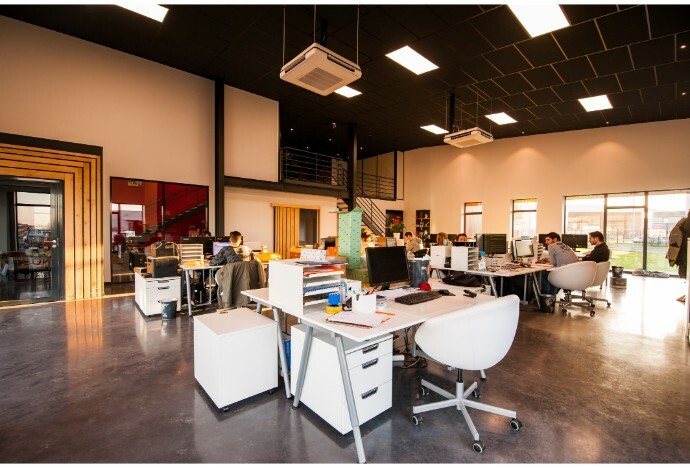 Additions to your office fit out such as sit-stand desks, ergonomic furniture, standing meetings as well as on-site workout areas to help your employees stay healthy go a long way in helping your staff stay healthy and reduce staff absenteeism and attrition. 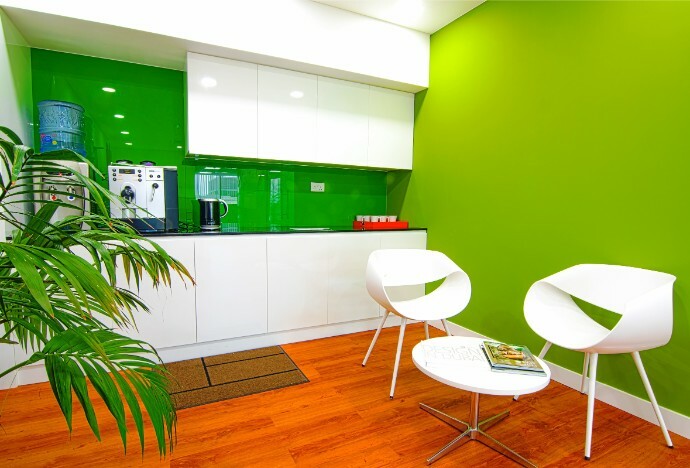 As we’ve said before, colour can be an important part of any office design. In addition to using brand colours, which everyone does, perhaps consider matching the colour scheme of various parts of your office to its function? Warm, bright colours for collaborative spaces and softer tones for areas that are set aside for focused work are a good place to start but there’s so much more that can be done. Artwork can also be a good choice, adding a bit of life to your office and inspiring your workforce. 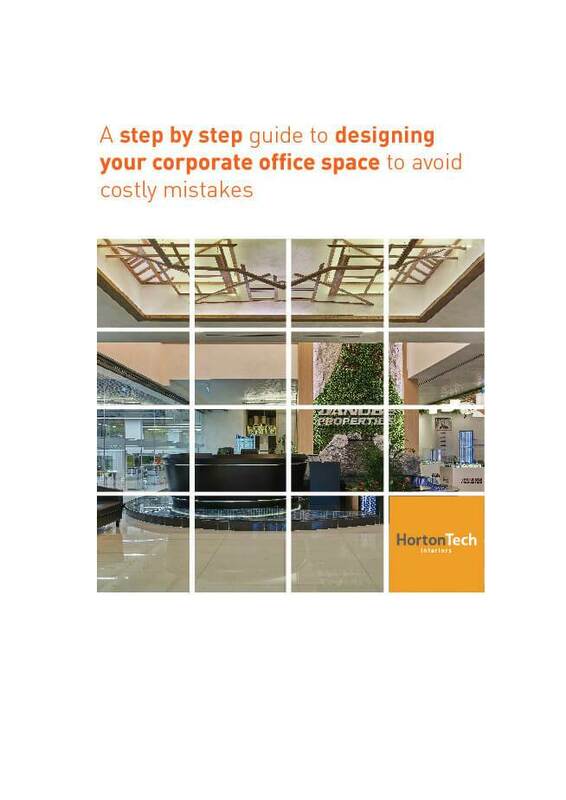 Looking to redesign your office? Want to create modern, creative space to “Wow!” visitors and employees alike? 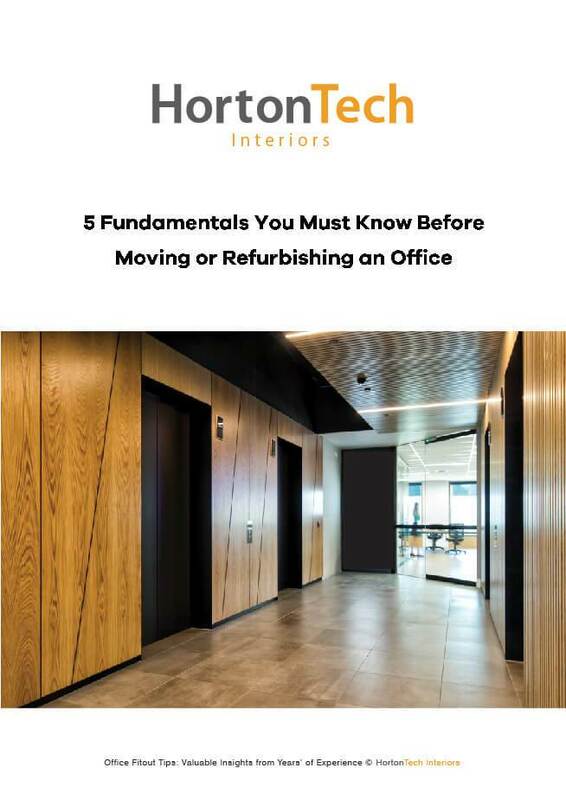 Our experienced team at HortonTech Interiors can help! Call us on +971 55 796 0547/+971 43 881 163 or send us an email at info@hortontech.com and we’ll be in touch.